Indian Farmers Fertiliser Co-operative Limited (IFFCO) is a leading player in India’s fertiliser industry and runs one of the world’s largest diammonium phosphate (DAP) plants. Located in the Port of Paradeep, the DAP plant produces two million tonnes of fertiliser a year. A Siwertell ship unloader supplies the raw materials required by the complex; these include rock phosphate and sulphur. In 2011, IFFCO needed to increase its unloading capacity and drastically reduce the dust created by its operations. Although the flammable and explosive nature of sulphur is only a real issue for enclosed systems, traditional methods for discharging sulphur are becoming increasingly unacceptable, mainly for environmental and worker welfare considerations. IFFCO is one of many operators that have approached Siwertell looking to increase their unloading capacities while at the same time safely reducing environmentally-damaging dust emissions during unloading operations. To achieve the increase in capacity and reduction in emissions, the ideal solution was to replace the existing grab crane with a high-efficiency, fully-enclosed ST-790 D rail-mounted Siwertell ship unloader. 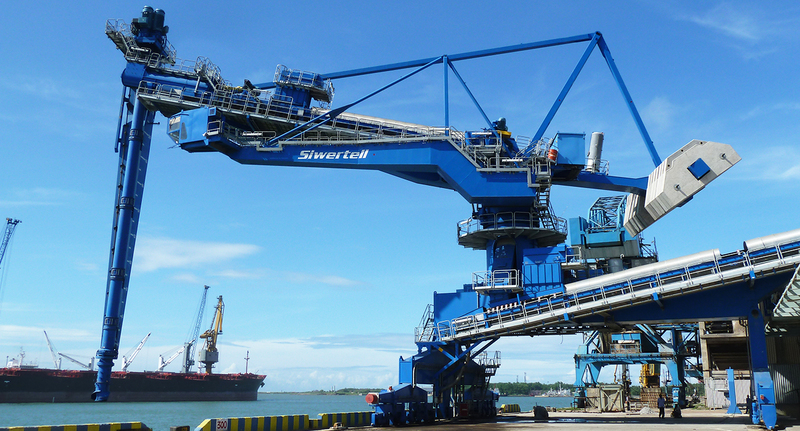 The ship unloader is equipped with a vertical screw conveyor in stainless steel and belt conveyors on the horizontal arm as well as on the gantry. All are designed to withstand sulphur’s highly-corrosive properties. To ensure safe unloading of sulphur the unloader is equipped with the 4S Siwertell Sulphur Safety System. The 4S detects and extinguishes fires and minimises the risk of explosions; while safely containing them if they do occur. With the 4S, the unloader and conveying system is equipped with a water spray system. This settles dust and extinguishes fires. Fire detectors are installed along the conveying line, along with pressure release valves. IFFCO’s Siwertell ship unloader has been in commercial use since July 2013. Discharging vessels up to 75,000 dwt, it can handle sulphur at a rated capacity of 1,800t/h and rock phosphate between 1,600 to 2,100t/h, depending on material properties. The Siwertell system is fitted with dust collectors at all transfer points, delivering operations that produce close to zero dust emissions. Siwertell is currently the only company able to offer sulphur operators a high-capacity, totally-enclosed, safe mechanical system. 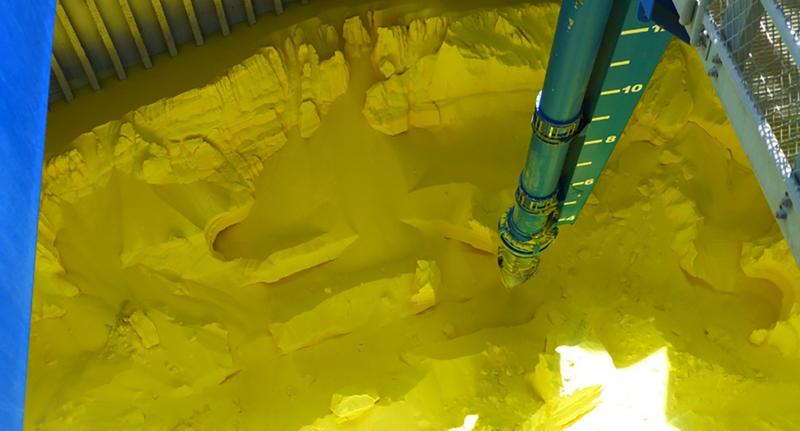 Siwertell has been supplying the 4S Siwertell Sulphur Safety System for its sulphur unloaders for over twenty years, with numerous references from satisfied customers.